This kit includes the Needle Tatting Step-by-Step book, a Size 5-0 tatting needle, a needle threader, and one ball of Lizbeth Size 10 thread. 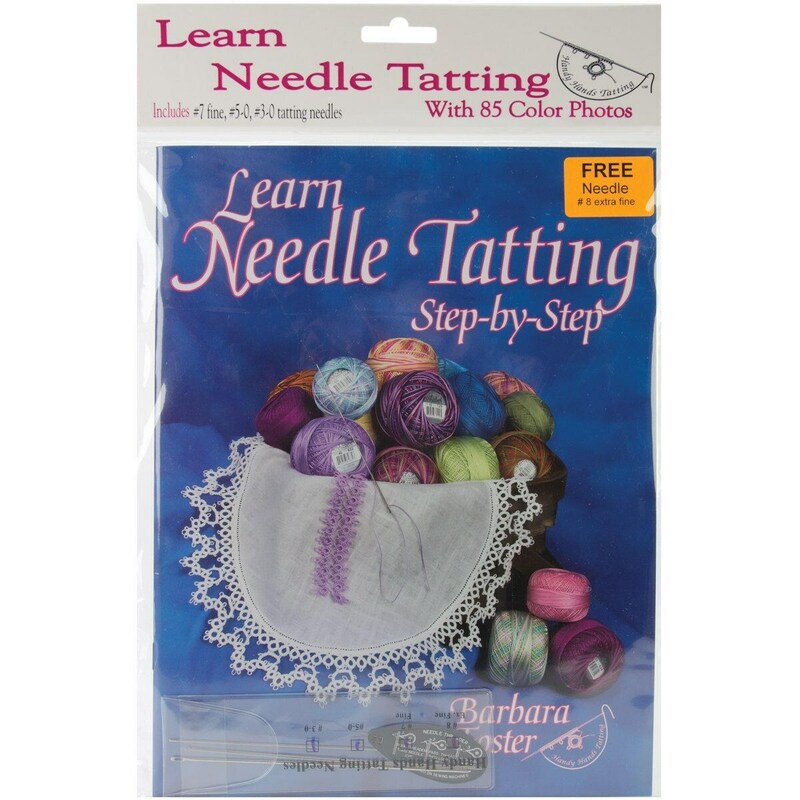 Needle Tatting Step-by-Step is an excellent introduction to needle tatting. Barbara takes you through every step of the process, from choosing the right needle size for your thread (there's a handy chart inside) to making rings and chains and joining them to create beautiful projects. Patterns include: doily or collar edging, pillowcase edging, bookmark, medallion, butterfly, note card, and hanky edging.